The past 2 decades have seen significant improvements in disease-modifying therapies (DMTs) for multiple sclerosis (MS), and with them a surge in prices in the cost of therapy with sales more than doubling just in the past few years. As a result, there has been a significant rise in the cost of care for patients with MS. 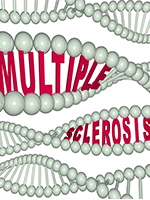 Findings from an ongoing, phase 3 clinical trial involving patients with relapsing-remitting multiple sclerosis (MS) reveal that hematopoietic stem-cell transplantation (HSCT) may be a feasible treatment option for reversing disability associated with MS. Patients with early- versus late-onset epilepsy exhibited distinct differences in the origin of memory deficits, supporting the practice of subtyping patients by clinical characteristics to identify individualized predictors of cognitive dysfunction, according to the results of a new study.